When chickens are properly cared for and fed a good diet, each hen can produce up to 300 fresh eggs per year. When chickens are molting and when winter results in shorter hours of daylight, egg laying rates generally decline, but it doesn’t get more local than your own back yard. Eggs are a cheap, nutritious source of protein. Combined with a garden, chickens help to create a healthy backyard ecosystem, providing your family with a more environmentally friendly and sustainable lifestyle. You can choose to raise chickens as part of a larger effort toward being greener or having a more self-sufficient lifestyle. Raising chickens can provide organic fertilizer for your garden and landscaping, helping you save you money. 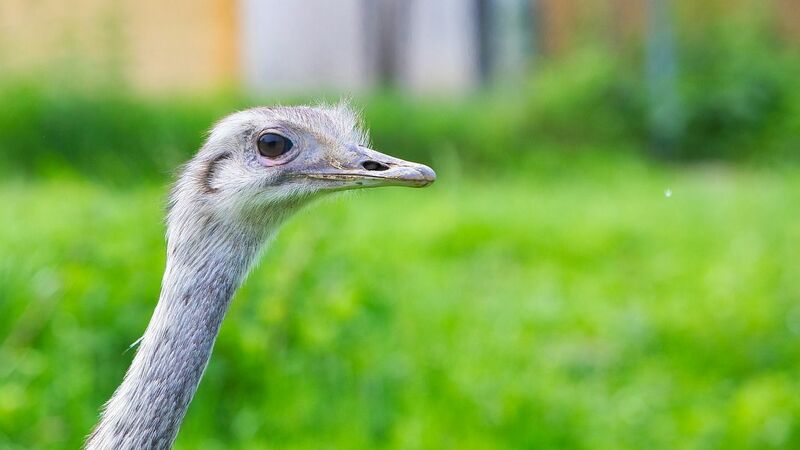 In addition, chickens will eat pests such as flies, mosquitoes, ticks, and snails. They also eat many different types of weeds and will love snacking in your garden after you have finished harvesting for the season. Chickens can be a therapeutic tool to help cope with issues such as depression, anxiety, loneliness, and dementia or just give you a boost when life gets tough. Chickens can form real bonds with their caretakers and may rush to greet you at feeding time or even jump up in your lap for petting. Compared to other types of animals, chickens are fairly easy to care for. Of course, they require feed, water, and regularly cleaning of their coop. The coop should be kept clean, dry, and well ventilated. When their coop is regularly cleaned, chickens will not smell. If you travel, you will need to make sure you have someone arranged to care for the chickens. Chickens poop frequently, wherever they happen to be, and without warning. If you or others in your family are not careful to remove your shoes before going indoors, the droppings can be tracked into your home. Although chickens are social animals, situations do occasionally pop up that require you to intervene, such as feather picking or bullying. The average chicken lives for about eight to ten years but only produces eggs well for four to five years. You will need to have some kind of plan for what to do with chickens when they no longer produce eggs. 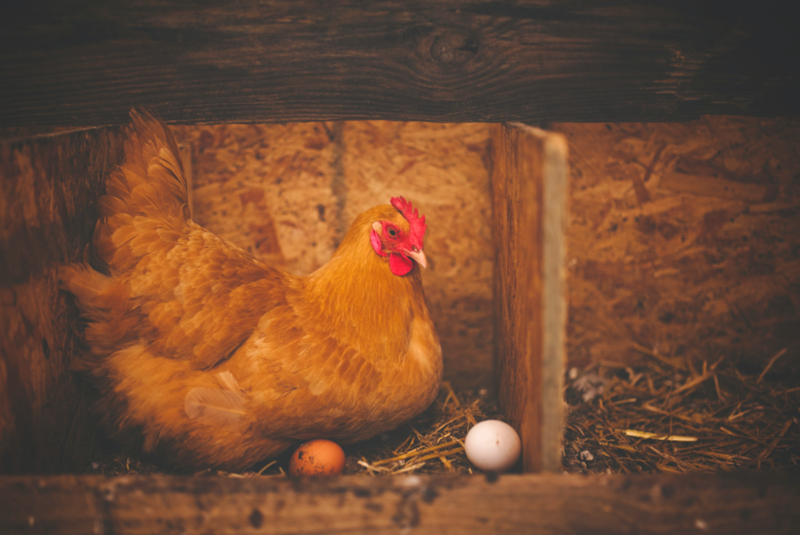 You may choose to harvest chickens for meat when they no longer lay eggs or simply keep them as pets, but make sure to plan ahead for the decline in egg production by raising more chicks to replace older hens. You might raise chickens for free-range, home-raised meat. However, processing chickens is a messy, time-consuming job that is not for everyone. Raising chickens on a small, backyard scale is not a profitable venture. In fact, raising chickens in your backyard might result in small margins, if any at all. Of course, more birds would help boost profitability, but in general, raising chickens will not make you a lot of money. It can be a bit pricey to get started raising chickens. You may have to pay for a permit to have chickens within city limits in addition to buying a coop, nesting boxes (if your coop is not already equipped with them), feed, watering equipment, and the cost of the actual chicks themselves. It all adds up. 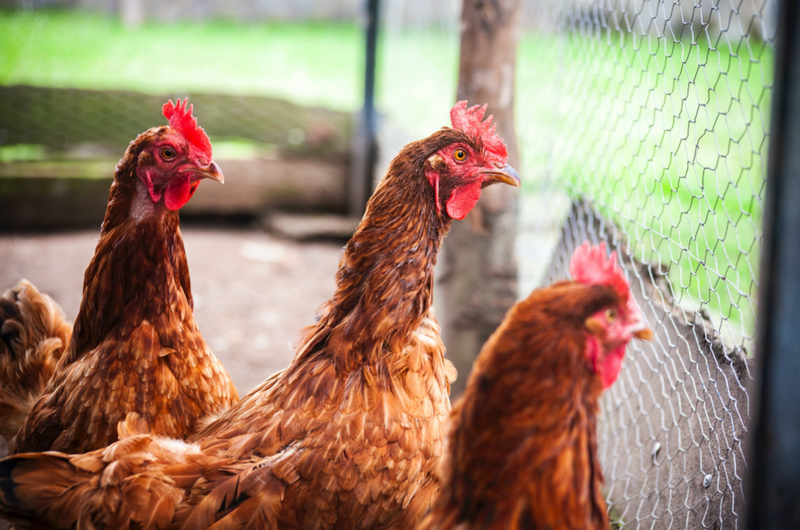 If you live in a neighborhood with a Home Owners Association (HOA), be sure to check the covenants and restrictions on raising backyard chickens. It is easier to raise chickens if the HOA is relatively informal with voluntary annual fees or fewer recreational amenities. The newer, compulsory, amenity-heavy HOA neighborhoods most likely do not allow raising chickens. For more information on raising chickens, subscribe to Chicken Whisperer Magazine.